Jason co-founded CrossPurpose with Juan in 2008, influenced greatly by spending his childhood and adolescence in poverty. Jason's passion for social entrepreneurship and serving the poor is satisfied through his role as CEO where he builds our staff team, sets the organizational culture, and raises funds. When he is not working, Jason enjoys bike riding and hanging out with his wife and four boys. Juan received his mechanical engineering degree from the University of Massachusetts and his Master of Divinity from Baptist Bible Seminary in Clarks Summit, P.A. While attending seminary, Juan worked as an engineer and planted a multiethnic, socioeconomically diverse church in the Poconos. In 2008, he moved to Denver to be a part of the elder team at Providence Bible Church. He is now the Chief Program Officer of CrossPurpose, and is passionate about helping Denver families escape poverty and pursue their dreams through our year-long career and community development program. When he’s not working, Juan enjoys spending time with his wife and four boys, cheering for the Patriots, and loving his Clayton neighbors. Amy has been enjoying her Site Operations Specialist role since joining the CrossPurpose team in 2016 after earning a degree in Sociology and Anthropology. Her dual love of logistics and relationships are fulfilled through hounding down data, upholding high expectations, and lending laughter and listening ears in support. Outside of work, she enjoys live music, people watching, and running on dirt. Dale came to CrossPurpose in April 2018, bringing a degree in business and over 12 years of experience in retail banking, finance, and investment to his role as the Senior Development Officer, in which he works to raise funds for the organization and invite community leaders into deeper generosity. Sharing a background similar to many of the neighbors we serve, Dale is grateful for the opportunity to shift generational narratives, both in his own family and the greater CrossPurpose family. When he is not at work, Dale enjoys spending time with his wife and four kids, hosting dinners, being outdoors, playing sports, and cheering for the Denver Broncos. Jeff joined the CrossPurpose team in 2015. As the Director of the Recruitment and Admissions Department, he is responsible for recruiting and on-ramping all of the Leaders to our career development program. Jeff brings his years of experience working in the corporate sector to bear in building partnerships with organizations in the community. When he's not at work, Jeff enjoys spending time with his neighbors, and serves as a mentor to youth in the community. He also loves being active, playing basketball, being on the water or in the mountains, spending time with friends and family, and traveling. Katie joined the CrossPurpose staff in 2014 after serving as an assistant in multiple organizations. Katie's passion for organization, efficiency, and things done with excellence is satisfied through her role as Executive Assistant to Jason Janz, where she manages schedules, communication, and events in an organized manner. When she's not working, Katie enjoys spending time with her husband and five children. Kerry Romero joined the CrossPurpose team in 2018, fulfilling the vital role of Bookkeeper. With a degree from Western Governors University and more than 20 years in nonprofit and government management, Kerry performs various accounting functions in service to the organization’s mission and vision. Her interest and hobbies spending time with family, music, the outdoors, traveling, reading, arts and culture, practicing tae kwon do, and teaching yoga. Lillian came to CrossPurpose in 2017 as a Zeta Fellow, seeking to live, work, and worship in the same neighborhood. With a B.A. in Community Development from Covenant College and previous experience as a community and economic development project coordinator, Lillian oversees Leaders' job applications, resumes and interviews, while managing those taking an online certificate program. When she's not busy being inspired by the hard work and victories of CrossPurpose Leaders achieving their dreams and goals, Lillian loves to dance the night away, have friends over and share a meal, explore new places and learn about different cultures, create art, watch soccer, and celebrate Mexico! Pattie joined the CrossPurpose staff in 2013 after 20 years of ministry in Georgia. Pattie’s passion for God, his goodness, and inner healing for all people is satisfied through her role as Identity Coach, where she teaches Identity Development at our career development Training Camps and meets one-on-one with Leaders desiring a deeper level of personal development. When she is not working, Pattie enjoys time with her family and friends, reading, movies (always with movie popcorn), and the beauty of the outdoors. 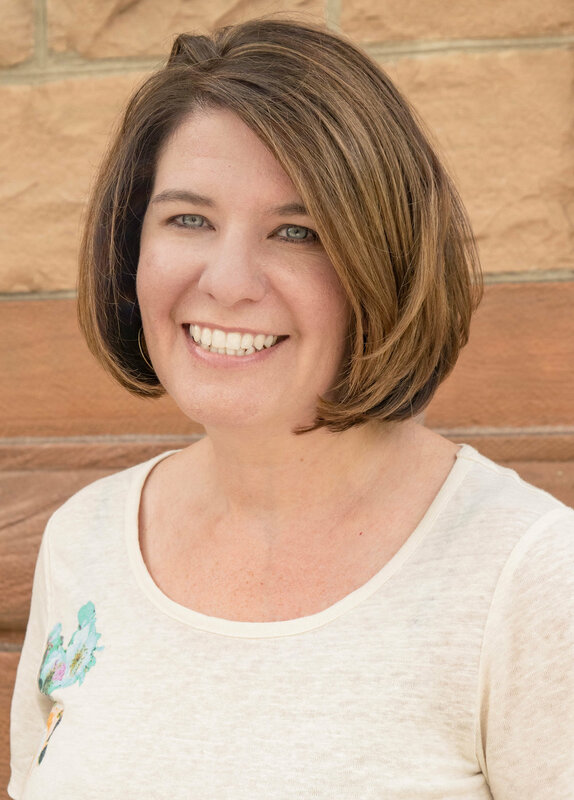 Rochelle joined the CrossPurpose staff in 2016 after completing her Master's degree in Counseling at Denver Seminary and spending 5 years in the addiction field as a counselor. Rochelle's passion for encouraging and challenging people to meet their full potential in their lives is satisfied through her role as Lead Coach, where she meets with each Leader on a regular basis to set goals, help to overcome barriers and push them to reach their potential with sustainable jobs. Rochelle is married to Benson and they have two adorable sons. When she's not working, Rochelle enjoys spending time with her family, camping and hiking, as well as traveling when she is able. Cordelia joined the CrossPurpose staff in 2014 after 20 years in Business Development and Community Engagement. Cordelia's passion for community involvement and giving back is satisfied through her role as Training Camp Coach and equal involvement with Community Partnership Development, where she meets people where they are in life and helps them to imagine a marvelous tomorrow through the power of intentionality and supportive relationships. When she's not working, Cordelia enjoys paper crafting and being a Grandma . Erin joined the CrossPurpose staff in 2016 after several years working with people experiencing homelessness, foster parents and adoptive parents. Most recently she worked as the executive director of Family Promise of NewRock in Conyers, Georgia. As part of a partnership with Cherry Hills Community Church, Erin is working to develop programs for people experiencing poverty in the southern suburbs of Denver. When she's not working, Erin enjoys spending time with her family, reading and watching sports. Jen joined the CrossPurpose team in 2014, bringing 25 years of experience in the classroom and a Bachelor's degree in Education to her role as the Upstream Site Director. Jen's belief that people's barriers can become their opportunities shapes her leadership of Training Camp, where she creates a classroom environment and curriculum that identify, build and unleash individuals' unique abilities to best serve their community and career. Outside of work, Jen enjoys time spent finding an earthly treasure at Goodwill or a personal treasure within a book. Kayla came from Grand Rapids, Michigan to join the Zeta cohort of CPCUL in 2017 after earning her bachelor's degree in International Community Development, Spanish, and Urban Studies from Calvin College. Kayla has learned that safe, stable, affordable housing is the foundation for a flourishing life, and her passion for housing justice is realized through her multifaceted role as Assistant Director of Providence HomeShare, a partner organization of CrossPurpose, where she helps match people to homes in the Denver area. Outside of work, Kayla loves to practice her cooking skills, be active, spend time with friends, and explore new and unfamiliar places. 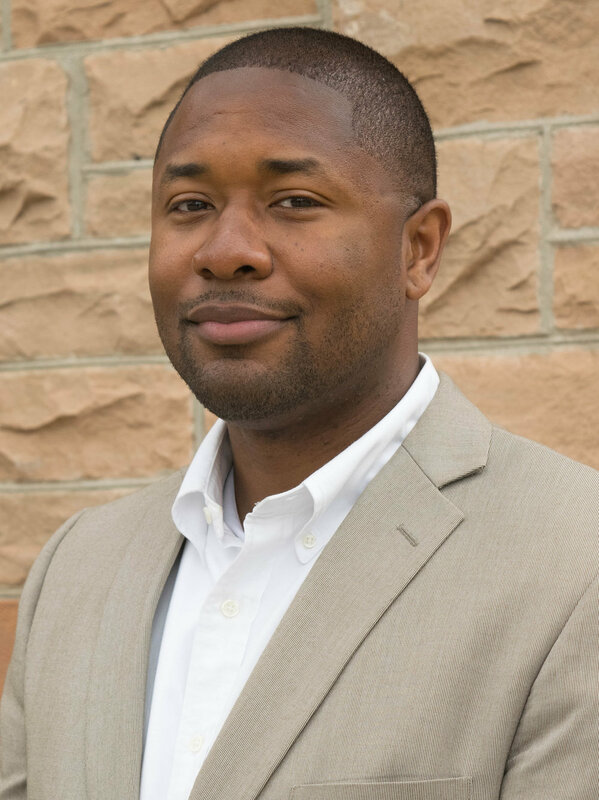 Marcus joined the CrossPurpose staff in 2016 after completing his master's at Gordon Conwell Theological Seminary. Marcus' passion for refugees, public speaking and leadership development are satisfied through his role as Director of the CrossPurpose Center for Urban Leadership. When he is not working Marcus enjoys spending time with his wife, Annie and their daughter Luanne. He also enjoys reading and writing good books. Rachel joined the CrossPurpose team in 2015 as a Fellow, after gaining her undergraduate degree in Community Development. Upon completing the Fellowship, she transitioned into her current position as a Coach. In this role, she is able to live out her passion of walking alongside others, encouraging them to grow and succeed by setting goals as they take steps to reach financial self-sufficiency. In her free time, Rachel can be found seeking unexpected beauty: in mountains, skies, rivers, and people. Scott has been with CrossPurpose from its first days, leveraging his degree in business management from Maranatha Baptist University and more than 8 years of experience at Chase Bank to lead our Finance Department. Scott is passionate about customer service and discovering the story numbers tell which he indulges through his oversight of CrossPurpose's accounting and bookkeeping, budgeting, the financial side of HR, and teaching financial education classes at Training Camp. Outside of work, Scott enjoys sports (football especially), motorcycling, reading, being outdoors, and spending time with his family. Cynthia joined CrossPurpose in 2015 after completing her B.A. in Community Development from Covenant College in Lookout Mountain, GA. Studying community development replaced the sense of powerlessness around addressing poverty she experienced while growing up in the Dominican Republic with a sense of hope. As a task-oriented and administratively gifted person who prefers a sidekick leadership style, she is passionate about her role as the Executive Assistant to Juan Peña, where she helps Juan execute his vision for our work and for our neighborhood by managing his schedule, responsibilities, and communications. When she's not working, Cynthia enjoys making people laugh, binge reading and toaster ovens. Holly joined CrossPurpose in May of 2018 after more than a decade of experience as a career coach and career services professional. 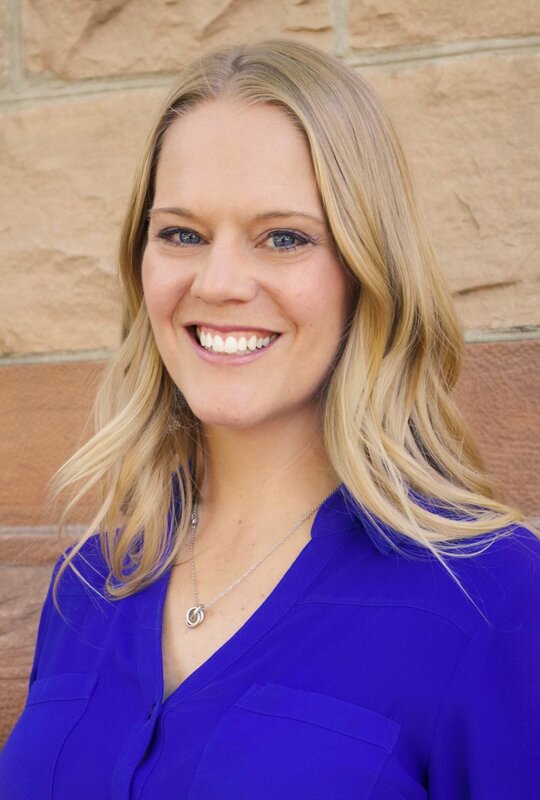 As the Employment Specialist and Job Developer, Holly builds relationships with employers across the Denver metro area in an effort to connect our Leaders with available job opportunities. Holly also assists Leaders with resume writing and interviewing strategies. Outside of work, Holly’s two teenage children are the center of her life, and she enjoys supporting them in all of their athletic and academic pursuits. An avid reader, Holly’s favorite free-time spots are bookstores and the local library. Jenny began her role of Fund Development Manager in 2018, to which she brings a diverse background in human rights advocacy and reform, 8 years of work in fundraising, and 6 years of community engagement experience. Her belief that financial freedom should be a choice available to all brought her to CrossPurpose, where she supports the development department with strategy and stewardship. When she’s not working, she enjoys trail running, writing and research, teaching fitness classes, drinking tea and eating tasty food, and traveling with her husband. Kellyn came to CrossPurpose in 2016 after several years in nonprofit fundraising and development on the East Coast, including a year of AmeriCorps service. Kellyn finds joy in storytelling, wordsmithing, connecting, and creating, all of which she brings to her role as the Director of Strategic Communications, where she manages CrossPurpose's marketing, public relations, and grant writing efforts. In her free time, Kellyn loves to run with her dog, Zuzu, drink lots of coffee, explore Denver's live music scene, and read voraciously. Kristen joined CrossPurpose at the beginning of 2018. Passionate about seeing people able to meet their full potential, Kristen’s role as the Recruitment and Admissions specialist allows her to connect people to a program that helps people accomplish this. When she’s not working, Kristen is spending time with her husband, Mark, drinking coffee, snuggling with her cat, playing board games, and traveling the world. 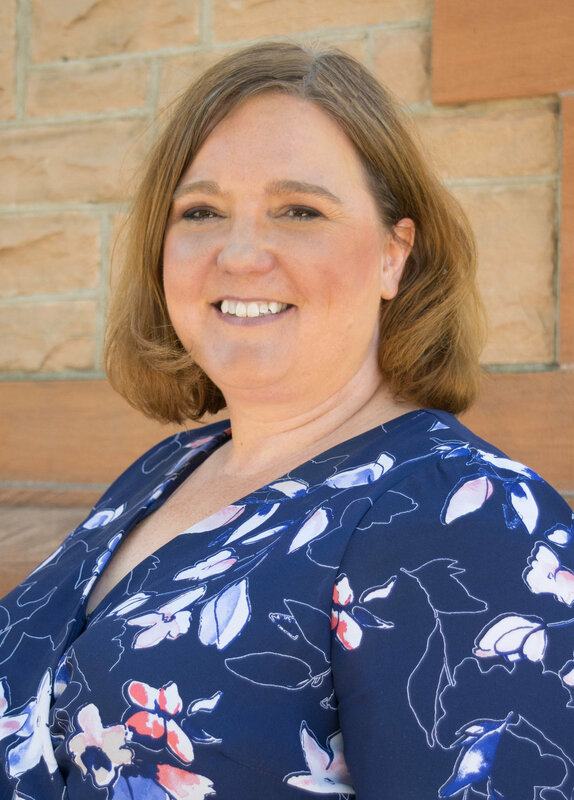 Marpessa joined the Recruitment & Admissions team in February 2018, bringing a degree from the University of Colorado, as well as years of experience in both the public and nonprofit sectors. Marpessa is happy to apply her desire to eradicate poverty and empower her community to her work at CrossPurpose, where she’ll be supporting the team’s efforts to identify and accept neighbors into our programs. When she’s not working, Marpessa enjoys spending time with her children at movies, the mall, and Hoops Park, and finding new restaurants to try. Ray came on staff at CrossPurpose in 2013 after 20 years of pastoral ministry in Atlanta, Georgia. His shepherding heart and passion for discipleship is seen in his advocacy for soul care, his teachings on spiritual formation, and his personal coaching of individuals on their discipling journeys. When he's not working, Ray likes reading, bicycling, good food and entertainment, and living life in general with his wife, Pattie. Together, they value friendships, community and enjoy their family of five children and six grandkids.